In a new year we all want more organization am I right? I feel like the end of December and early January each year I get the urge to clean all the things and do a complete overhaul of our house. I also really like to implement more efficient cleaning and organization routines. 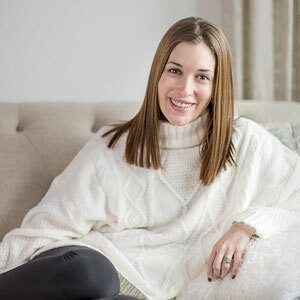 Today I want to share 4 ways to get organized and stay organized throughout the year. Have a laundry plan: So I don’t know if other people do this, but we have always had designated days we do laundry. We do our laundry on Wednesdays and Sundays. We do Liam’s nightly. Just because Liam’s clothes tend to pile up a bit faster, it’s easier to do it each night. What’s also great about this is that it gets us both involved in household chores. I always do our laundry and Andrew takes care of Liam’s. Of course if one of us needs help or has a lot of other stuff to do, the other pitches in. We have ALWAYS been a Tide family. Honestly since I was a little girl, it’s all my family used. Currently the Tide HE 100 oz. Liquid is on Rollback at Walmart for $10.77 (regularly $11.97). Combine that with the $2 brandSAVER coupon available through 1/13/18 for a final price of only $8.77, or less than 9 cents per ounce! So you are really getting a great deal. If you’re a mom like me, you not only love a great deal, but you’re doing laundry so much that saving on detergent is HELPFUL! The brandSAVER coupon can be found in your 12/31 Sunday paper or online at https://www.pgeveryday.com/. The coupon is only available for in-store purchases through 1/13/18. Assign Jobs: This is actually something that can be done with EVERY member of the family. Truthfully there are jobs kids can do as young as toddler age. For example, putting their toys away. Or putting their laundry into a laundry basket to get them used to the task. This is something we plan to implement once Liam is old enough. Beyond that Andrew and I have certain “jobs” we prefer to do. It really helps if everyone has something to do and contributes. Don’t let it get out of hand: I feel like if you let things like laundry pile up you can be sitting with nine loads of laundry to do, fold, and put away. If you do them a few times a week or like we do Liam’s nightly it really doesn’t pile up. The same for organization. If you wait to organize your fridge or pantry for a super long time they get out of control! Tidy Up Daily: Before bed every night I hang up jackets, put away toys in their baskets, wipe down counters, start the dishwasher, etc. It takes all of 20 minutes and our house never feels messy. This is something I highly suggest because it never makes me feel like I’m living in chaos. 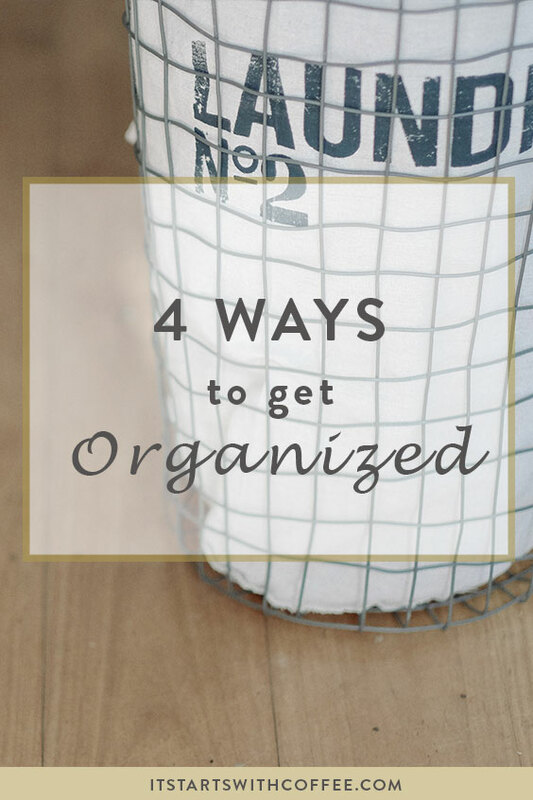 These 4 ways to get organized will really improve your life and make you feel a little less out of sorts. Is there anything you would add to this? Cleaning up and tidying up daily is a must for me. I can’t go to bed with dirty countertops and dishes, it bothers me so much! All very good tips. I definitely think that everyone in the house – that can – should have something that they do or help with to make it easier. That’s great that your husband does Liam’s laundry and you do yours; nice way to delegate the tasks! So timely for me. I have 3 very young kids and at times I find it difficult to trust them with chores because I find myself doing the job again and again. I also like to have a schedule to do my laundry, it just makes sense to me. Thanks for great tips. I love to have an organized house, but laundry is something I struggle to stay on top of. There is always a basket of clean clothes ready to be folded and put away. I really need to make a schedule. I think it would help tremendously! 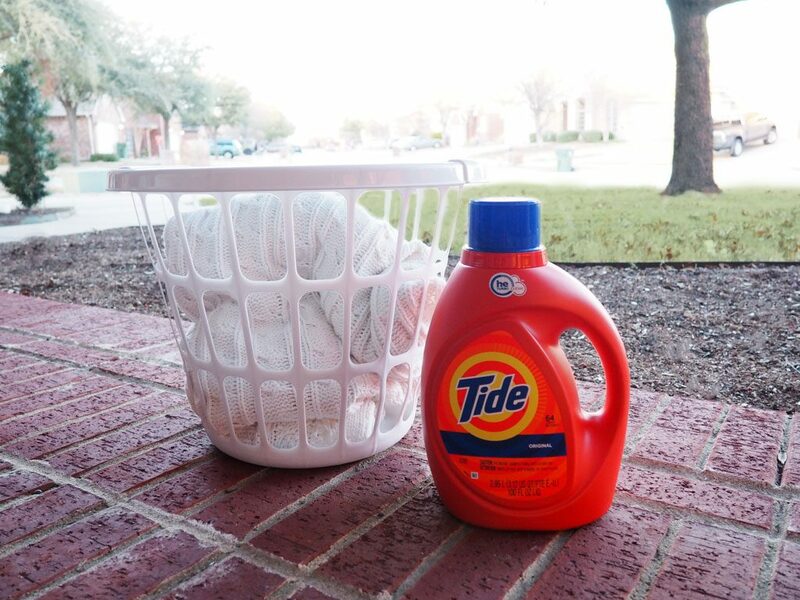 Having a laundry plan is a great idea! Now if I could just stick to my plan lol! Absolutely loved this post and your thumbnail. What a lovely blog you have. This is my first time here and I’ll definitely be back. these are really great and simple tips! the more systems you can get in place the easier the whole tidy up routine is! I’m struggling with this today! I love that God put this in my view. Thanks for the great post. A laundry plan is KEY for not getting overwhelmed. These are all some great tips, I agree about having a laundry plan! So smart! Yes!! These are great tips. We tidy up daily and it makes a world of difference. If I have a crazy day and don’t tidy up before I go to bed, it is really hard for me to stay motivated the following day until everything is back all nice and clean. A good friend of mine has a chore chart for her and her husband. I thought it was adorable but for them, this worked to track what was last done, who did it, and prevent any fights over who “cleans the letterbox” more than the other or anything like that! Tidying up daily is one of the main goals I have for this year. I hate a cluttered house. Being on top of things helps so much before it gets too overwhelming! We have a designated laundry day too. And we never sleep without tidying up; it’s nice to wake up to neat, clean house. Being organized is so important. These are really fantastic ways to ensure that we are living a more organized life. 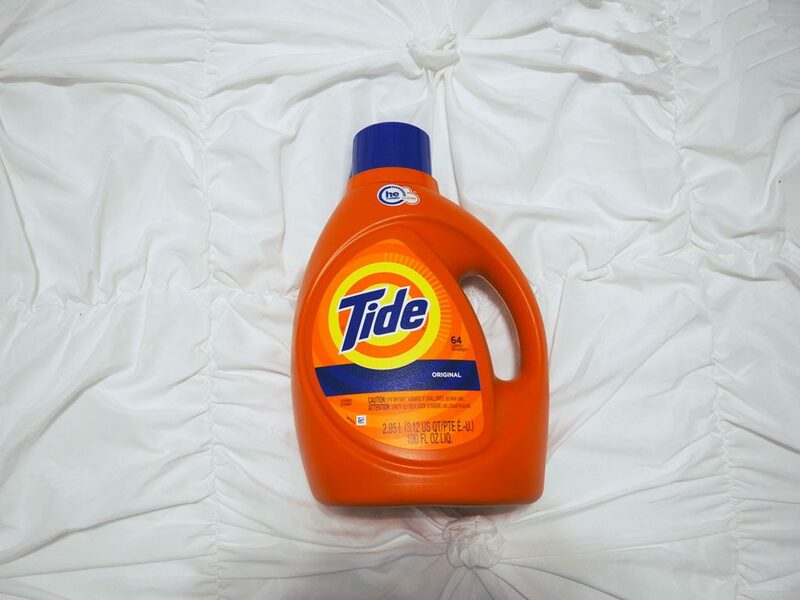 We do our laundry every other 2 days and Tides is our go to laundry detergent. I agree on your tip to tidy up daily, it makes cleaning and organizing less overwhelming. Thank you so much for the tips! I definitely struggle with organization a bit and just need to set up a plan of action and then follow through! I have my laundry days too! But when I have spare time I always do extra loads. Putting laundry away is the death of me. UGH! These are great tips. I just did a month’s worth of laundry. I kept letting it pile up to the point that I had to spend quite a while psyching myself up to do it. I’d like to say I’ll never let it get to this point again but I know myself too well. 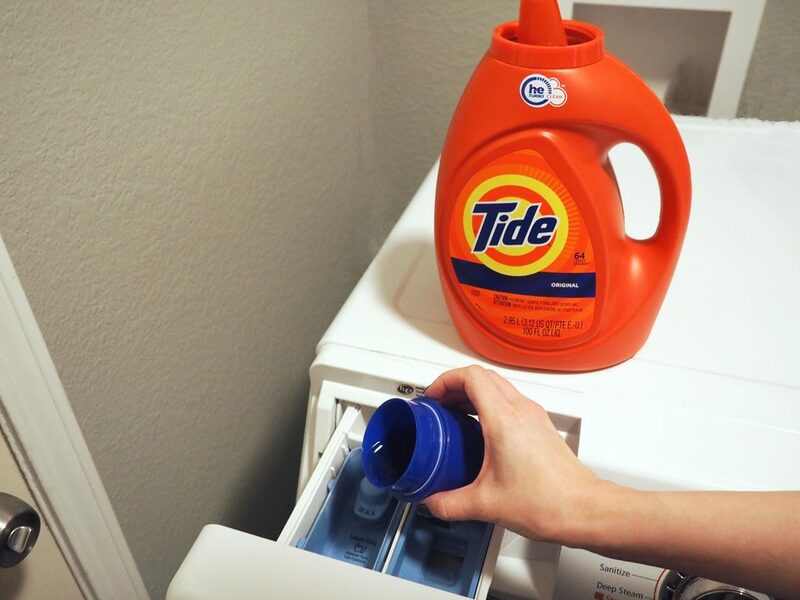 I use Tide for all our laundry too! I have designated laundry days as well. I think it helps keep things under control! This is so great! I need all the tips I can get! I actually like doing laundry, it’s the folding I hate! Great tips, I usually do everything on a Sunday so I’m prepared and ready for the week! We’re very into having our toddler pick up her own toys each day. Something else I make sure of is to never go to bed with dirty dishes in the sink. It makes the next day so much better! Picking things up daily is a great way to stay organized! I try to pick up after the kids every evening. When we were living in our apartment and I didn’t have a dryer I would do a load of laundry every evening after the kids got home from school and got into their pajamas. It was great and so easy to manage the laundry. We stay organized by having a strict schedule. We know that dark laundry (for example) is done on Wednesday and Sunday. If you miss it, then you’ll wait! I used to have assigned laundry days, but now every day is laundry day, lol. I do love these tips though! This is really helpful. Especially about having a plan, not letting it get out of hand and tidying up at the end of each day. Pinned to save for later, too!